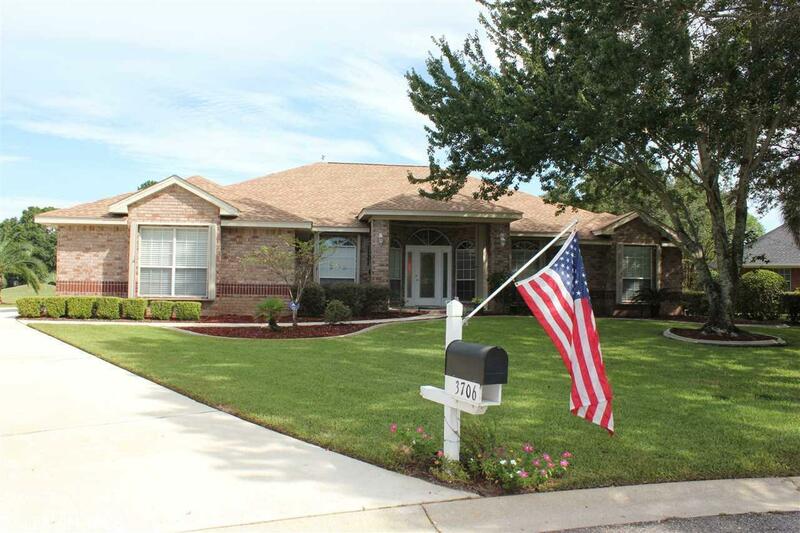 This outstanding Golf course front home is located in Glen Eagles Village of Craft Farms. The property is centrally located in the subdivision giving quick access to the Club House, Co. Rd. 4, Hwy 59 and the shopping center to the West. Being positioned in the back of a Cul-de-sac and on the #8 "T-box" of Cotton Creek Course provides for a peaceful, private setting with just the right amount of Golf course exposure. The grounds; from the old growth trees, meticulously manicured landscaping to the extruded cement curbing around the bedding areas, create a mini resort feel. This home offers many upgrades; new roof in 2018, pool with lanai & natural gas heater, built-in storm shutters, irrigation system, full home natural gas generator, wood flooring, granite, stainless steel appliances and walk-in soaker tub in Master Bathroom to mention a few. Call today to schedule your private viewing!